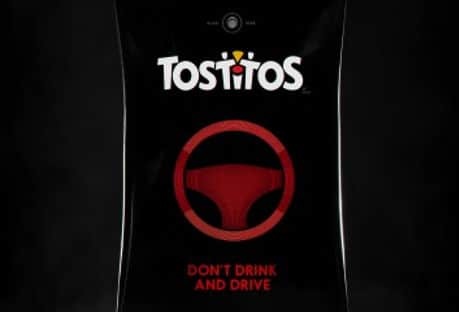 US consumers can now order a discounted Uber ride by tapping their NFC smartphone against a bag of Tostitos tortilla chips when they have had too much to drink. The bag detects the presence of alcohol on a person’s breath and shows either a green or red steering wheel to alert the consumer of whether or not they are safe to drive home. The Uber code can be entered into the Uber app to book a taxi, or fans can call for a ride by tapping their NFC smartphone against the tortilla chip bag. Uber ride orders placed through the Party Safe Bags will be discounted by US$10 through a collaboration with the taxi hailing company and Mothers Against Drunk Driving (MADD). The Party Safe Bags have been designed in collaboration with Goodby Silverstein & Partners and are available nationwide “during and after” the Super Bowl on February 5.